To the uninitiated, it can seem quite extraordinary the lengths people will go to for wine. We’re honestly not sure which is more mad – that someone paid a world record £425,400 for a bottle of 73-year-old Burgundy at Sotheby’s last year, or that they might since have drunk it. If nothing else, this proves that wine inspires a rare passion – as a collector’s item, an art form, and of course, a drink. So, for grape lovers everywhere we present the best of the world’s wine hotels, hedonistic retreats surrounded by superior vineyards where you can taste, sip and swill your way through some of the best wine money can buy. Whether you normally stock your cellar from the finest Château Lafites or the bottom shelf at budget supermarkets, visitors will enjoy a sensory escape and an irrefutable excuse for getting tipsy. A roof terrace offering panoramic views of Porto’s cityscape, outdoor and indoor infinity pools, and the culinary creations of a two Michelin-starred chef, the Yeatman lets you sample its finest wines in the luxury to which they are accustomed. The inexhaustible wine book showcases a wide variety of reds, whites and rosés from across the country, as well as the port for which the region is so justly famous. 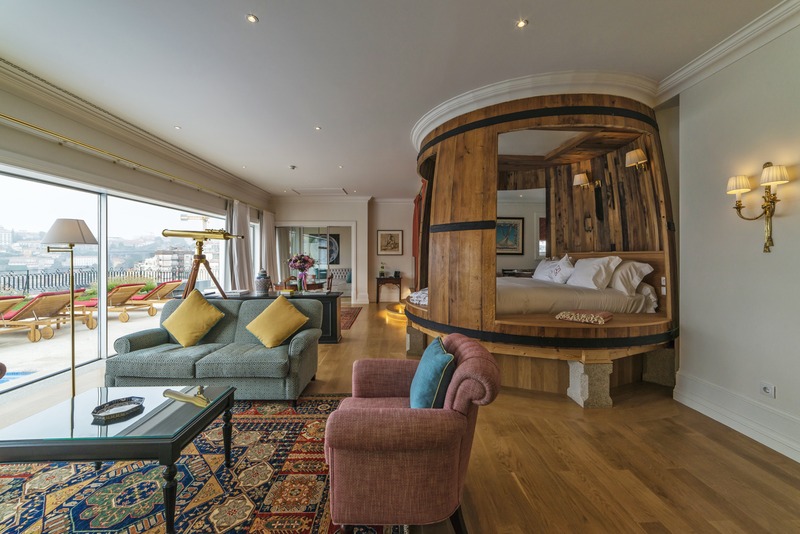 Set among the legendary port lodges on the banks of the Douro River, The Yeatman is a classic of the wine hotel genre. Set against the forested hillsides of the magnificent Colchagua Valley, you might find the scenery just as intoxicating as the vino. Once you’ve wrenched your eyes back to the menu, you’ll be treated to a small waterfall of cabernet sauvignon, petit verdot, merlot and more, many of them carefully paired with servings of sumptuous Chilean cuisine. The four ‘casitas’ host a maximum of eight guests at any one time, so you’ll be waited on hand, foot and glass. A wine hotel and art installation in one, with a dash of spa weekend for good measure, Villa la Coste boasts a modern, avant-garde aesthetic that sets it apart from its competitors. Stone villas (28 of them) dot the verdant hillside, with a mix of marble baths, plunge pools and beguiling interior design. 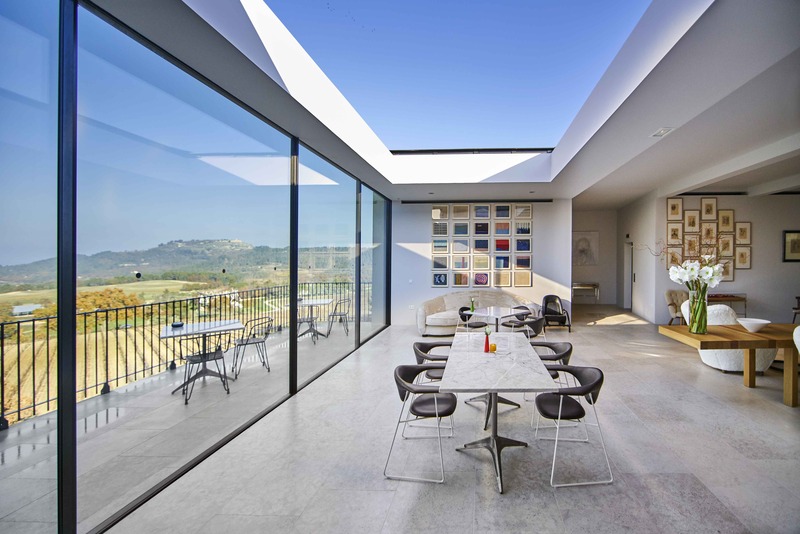 Encircled by vermentino vineyards a 20-minute drive from Aix-en-Provence, Villa la Coste boasts the romance of seclusion without its impracticalities, and comes complete with complimentary wine tastings from a wide variety of local grapes. Have you ever horrified your fellow diners by trying to heat up a bottle of red on the radiator? Or received a withering stare from your sommelier after swirling your chardonnay just a little too ostentatiously? 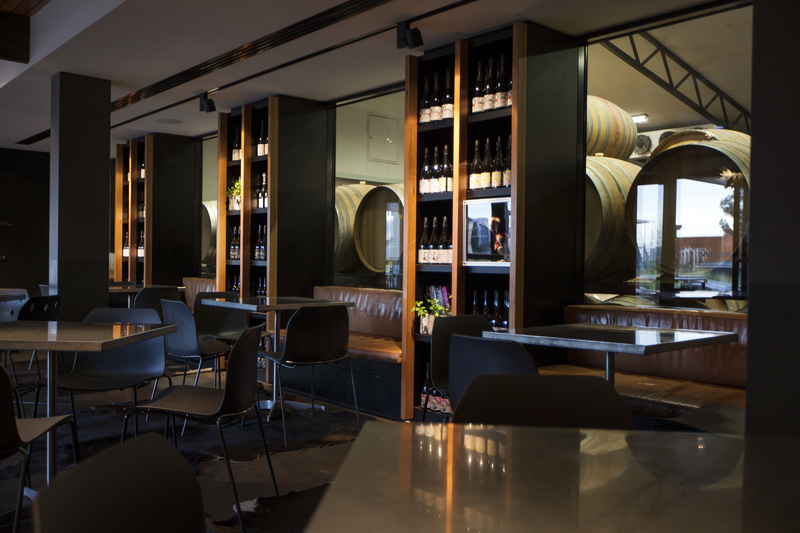 If so, then the Moorilla Winery in Tasmania might be just you cup of pinot noir, as their exquisite wines are paired with a classic Australian flare for the unpretentious. They describe their experts as “hardly ever annoying” and more likely to share their knowledge with you than sniff at your lack of it. The winery is not itself technically a hotel, but is partnered with the nearby Mona Pavilions – many of them state-of-the-art, multi-storey tree houses ensconced in the forest canopy. A Gatsby-esque mansion with a Miami Boulevard garden, Ellerman House is an oasis of vinous tranquillity overlooking the Atlantic seaboard from an affluent Cape Town suburb. With just 13 rooms, it feels more private mansion than resort, while the ‘house wine gallery’ – an optically challenging spiral bearing an unending swirl of bottles – features 7,500 South African vintages. Elsewhere, expect an award-winning array of trimmings. There’s an on-site spa team, tailored local itineraries, and an extensive private art collection.